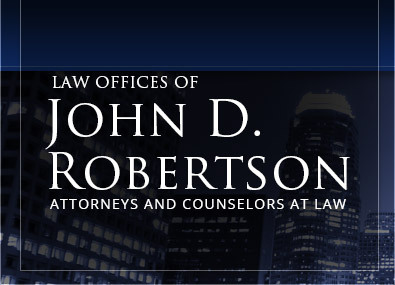 John D. Robertson was admitted to the California bar as a practicing attorney in 1976. 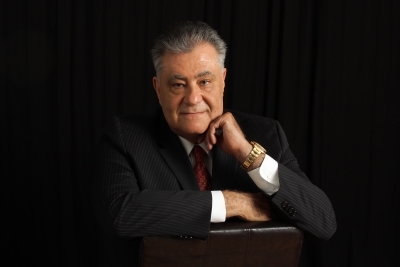 Mr. Robertson has well over 35 years of experience in criminal defense, as well as complex civil litigation in state and federal courts, having served as a federal prosecutor (Assistant United States Attorney) for a number of years. Mr. Robertson's experience includes well over 300 federal cases alone. Mr. Robertson represented a defendant accused of possession of pounds of methamphetamine seized from her home, along with substantial and significant sums of cash. Mr. Robertson won a dismissal for his client. Mr. Robertson represented another client accused of being a part of a wide-ranging conspiracy to commit tax evasion, as well as fraud in connection with participation in an alleged scheme to defraud the federal government out of taxes. The jury acquitted the defendant of all charges, except a misdemeanor count of failing to file a tax return. Mr. Robertson represented a client involved in an alleged organized crime ring, involving multiple acts of extortion, and money laundering. After a significant and lengthy jury trial, the jury acquitted Mr. Robertson's client of all counts, the only person among several people who went to trial who was acquitted. Mr. Robertson also represented an individual alleged to be a key participant in a conspiracy to import and distribute kilogram quantities of cocaine. This person was also acquitted by a jury of the allegations with some of the allegations being dismissed by the court upon motion of Mr. Robertson. Mr. Robertson also represented a woman accused of money laundering and conspiracy to distribute and import huge amounts of precursor chemicals from a foreign country, who met in a recorded conversation with an undercover agent who actually recorded the meeting, discussing the transaction. If convicted, this woman was facing a mandatory minimum ten years in prison. After a jury trial, she was acquitted of all counts. In another matter, Mr. Robertson represented an individual in a federal civil rights lawsuit who, after his acquittal in the criminal jury trial, filed suit against a major police department; Mr. Robertson was successful in obtaining hundreds of thousands of dollars in damages for the client in the federal civil rights lawsuit. Mr. Robertson also represented an attorney colleague sued for malpractice in a serious and complex civil case involving allegations of malpractice in a family law matter spanning years and involving significant real and personal property holdings, both in the U.S. and in a foreign country. Mr. Robertson was able to successfully defend his client and end the contentious litigation by winning a dismissal on behalf of his client, with absolutely no liability or payment of any damages on the part of his client.